Office hours are by appointment only. Weekend appointments available. Please call to schedule an appointment. The first meeting will last approximately 60-90 minutes. We will discuss the chief complaint and issues that led you to seek psychiatric services. We will talk about presenting problems, past medical/psychiatric history, social history, and family history. Usually, by the end of our first meeting the goal is to provide you our impression/assessment and if and how we may be able to help you. Once we have the relevant clinical information, we may be able to form an initial treatment plan by the end of our first meeting. However, in certain circumstances additional meeting(s) may be needed to fully develop a treatment plan. For those seeking counseling service with Ms. Goerdt, a brief phone intake can be arranged (free of charge) to ensure that the type of counseling offered at VPA will be a good fit for your needs. If you are seeing us mainly for medication management, the usual follow up is 20-30 minute. These visits may occur as frequently as weekly (during initial medication trial/medication adjustment phase) to as infrequently as every 3 months. If you are seeing us for counseling/psychotherapy, the usual meeting session lasts for 50 minutes. These sessions are more frequent/regular (~2-4 times a month). Please note the exact structure of follow up depends on individual case. Please note if you leave a message and we do not have all this information. We will not be able to call you prescription until we reach the office, which may delay the refill for several days. 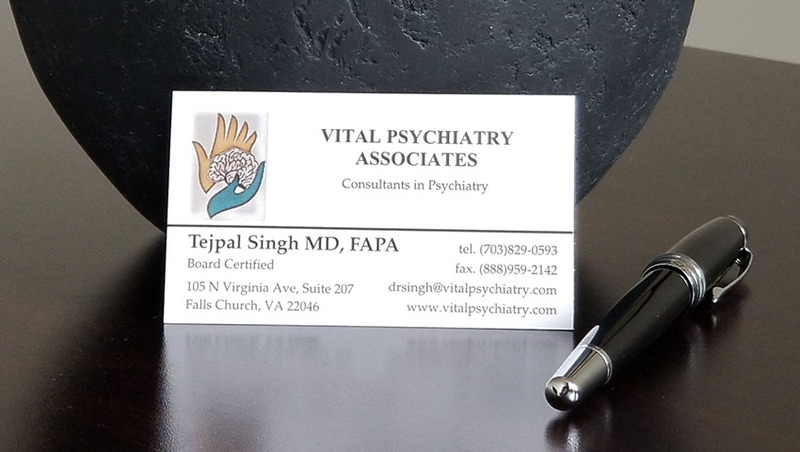 Vital Psychiatry Associates, does not have continuous "crisis management" services other than myself. If you anticipate or have had a history of needing frequent crisis services, you may be better served by working with an agency that can provide more comprehensive coverage from variety of professionals. We can discuss it during our initial visit. During the regular day time hours Monday - Sunday 9:00AM - 5PM, first call my office number (703) 829-0593. If I do not answer, leave a brief message stating your emergency. I will make every effort to reach you as soon as possible. If you did not reach me at the office, or if its after hours call my cell phone (Will be provided at the first visit). If I do not answer, please leave a voice message. Please note having strong thoughts or impulses to harm yourself or others is a medical emergency; in such situation it is totally appropriately to contact 911 or seek help at an emergency room. The practice operates on fee-for service model and accepts few insurance plans at this time. Please call to verify if your insurance plan is accepted. Subject to change please, call to verify our office. All payments are due at the time of the service. In case of extreme weather conditions VPA will notify you of clinic closing and reschedule an appointment.